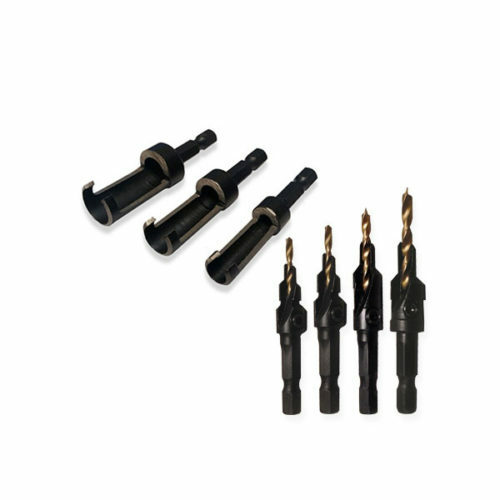 Now you can get into all those hard to reach spaces with the Right Angle Drilling Kit! 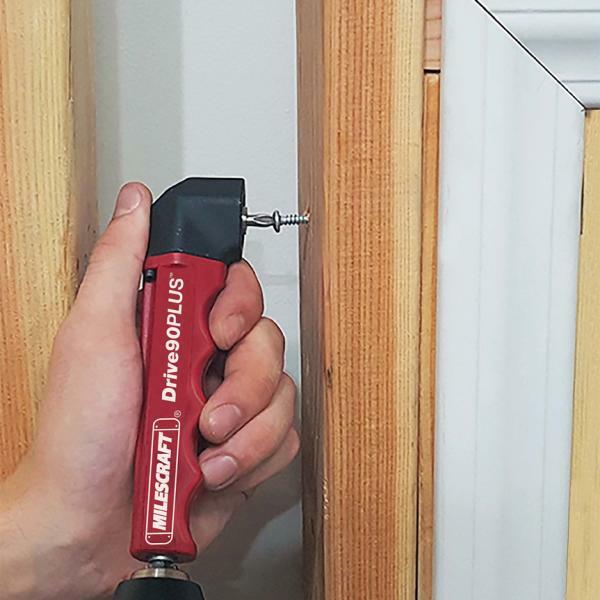 Increase the versatility of your existing power drill with the Drive90PLUS Right Angle Drill Attachment. 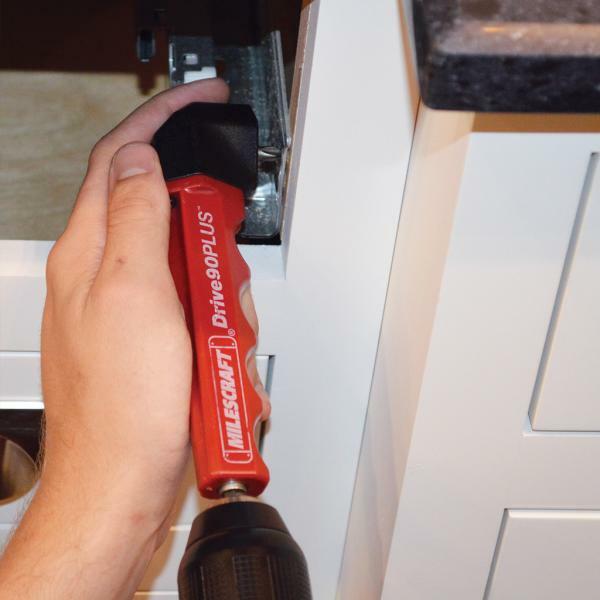 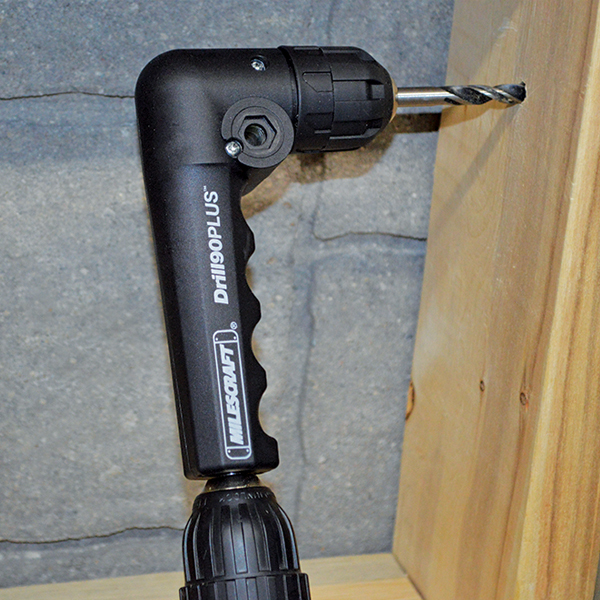 Simply insert the Drive90PLUS into the chuck of your drill for access to those hard to reach and tight spaces. 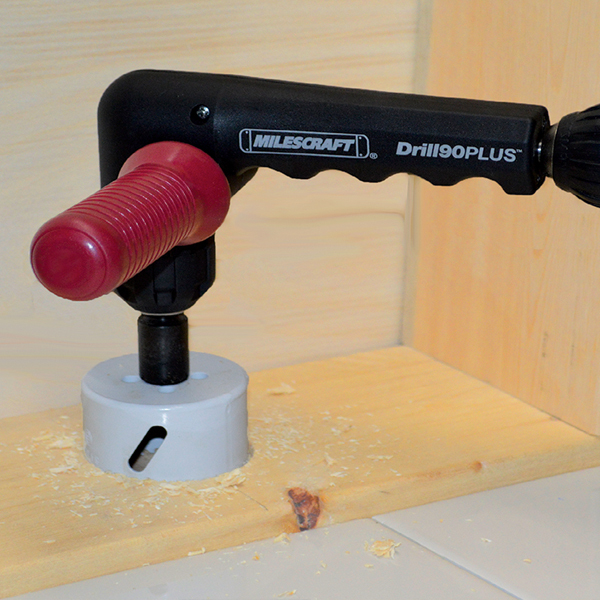 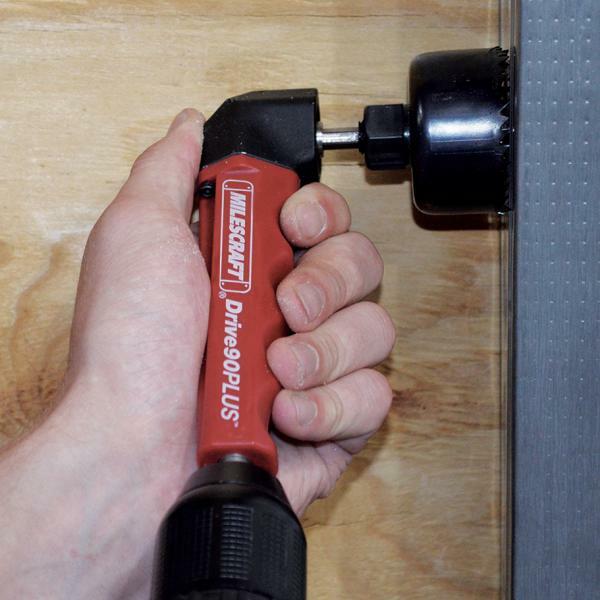 The Milescraft Drill90PLUS right angle drill attachment is perfect for drilling those hard to reach wall studs and floor joists, as well as a host of other applications. 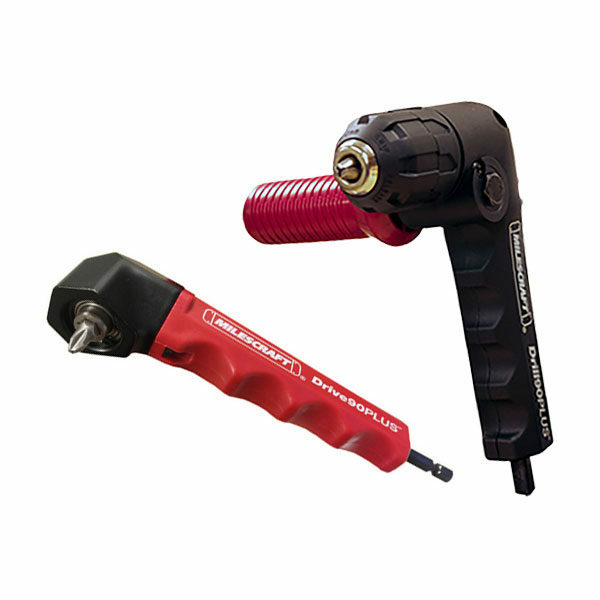 Ideal for plumbers, electricians, HVAC installers and homeowners needing to navigate tight spaces. 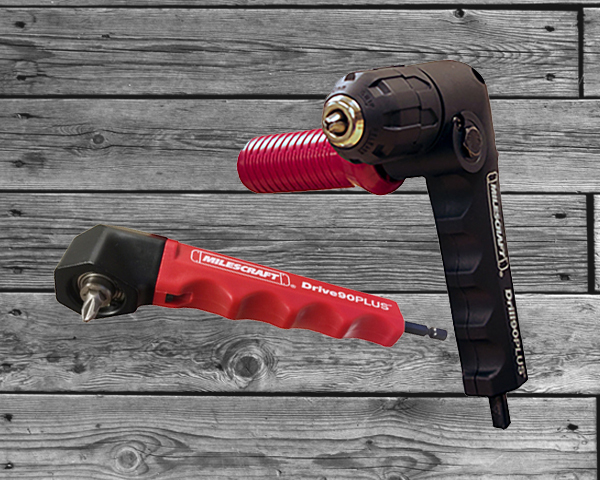 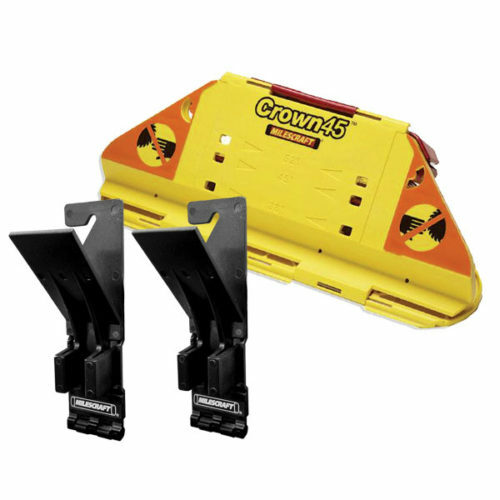 With a minimum reach of 4″, it is compact and lightweight for those difficult spots. 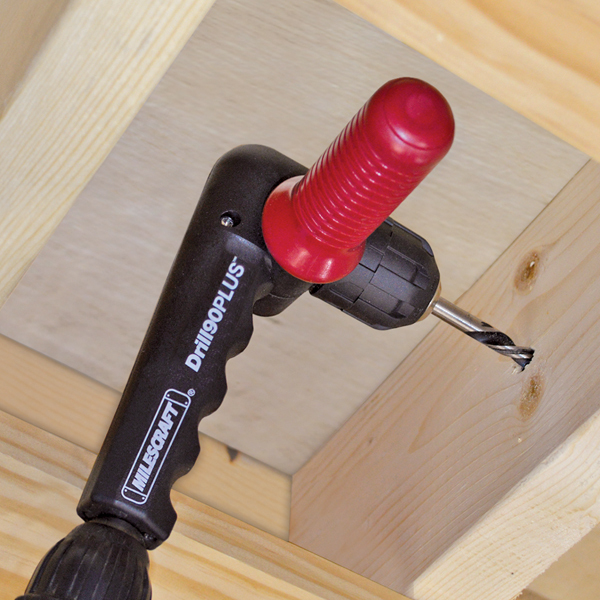 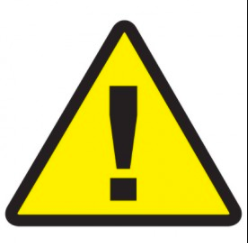 For use with most drills – corded or cordless. 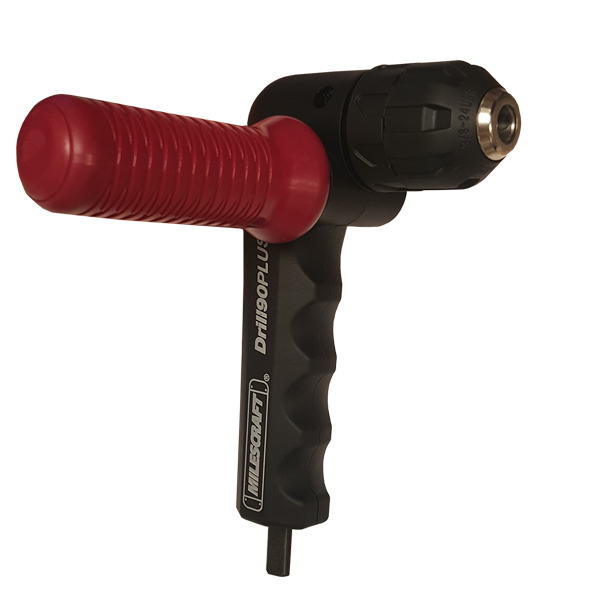 Join the Milescraft community and write a review for this product!